I can’t for the life of me put Hockney images on this page but the website links work well. 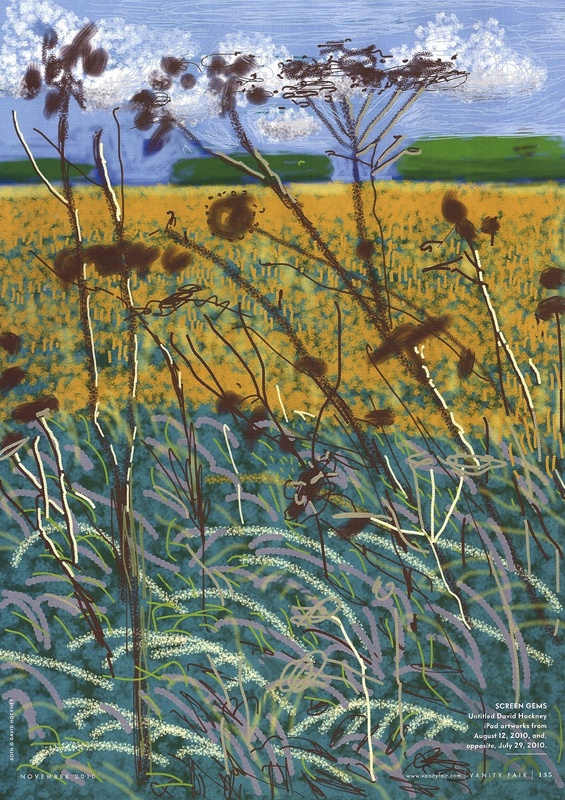 David Hockney wowed the art world when he first started showing his ipad paintings. He has really embraced the technology and apparently said if Picasso and Van Gogh had the technology they would use it to! The video shows how the ipad has enabled Hockney to display work in an entirely new way. This looks like an almost cinematic experience, rather than walking around the gallery, images on the screen are constantly changing. I think that this is important for ipad drawings as they are created by light, they work better viewed this way rather than prints of the image. 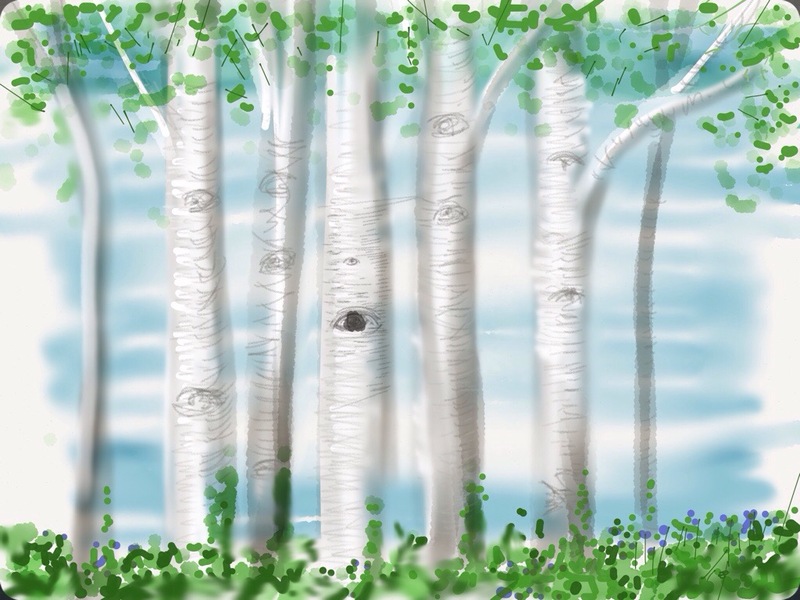 David Hockney uses an app called Brushes that I have installed to experiment with. I am also using an app called Paper by 53, I received a 53 Pencil for my birthday- an electronic stylus that unlocks some interesting in app features. 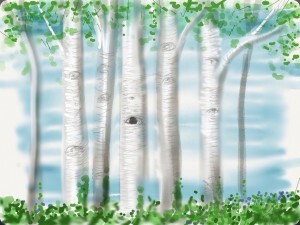 This is an early Linda Baker iPad drawing. 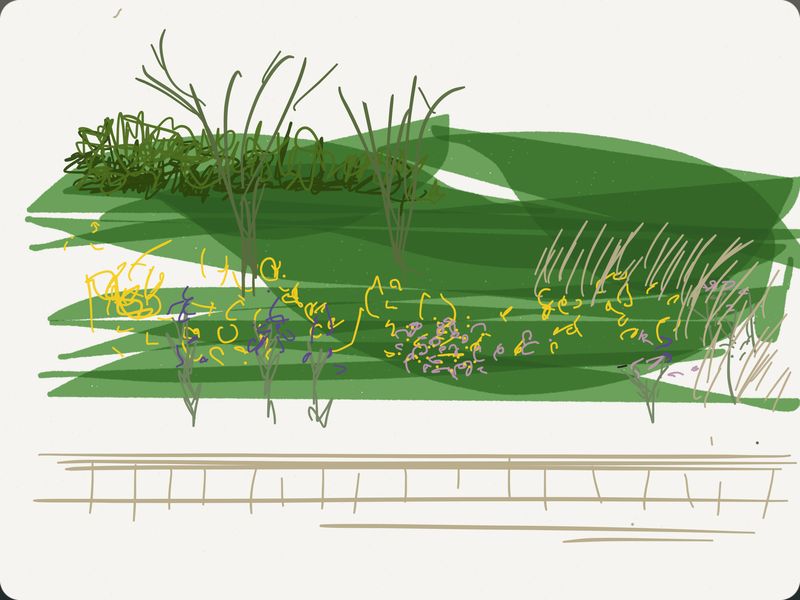 This was done from the car window ( as a passenger !) on the M4. I was just trying to capture the sense of the world going by and ideas of texture and colour. 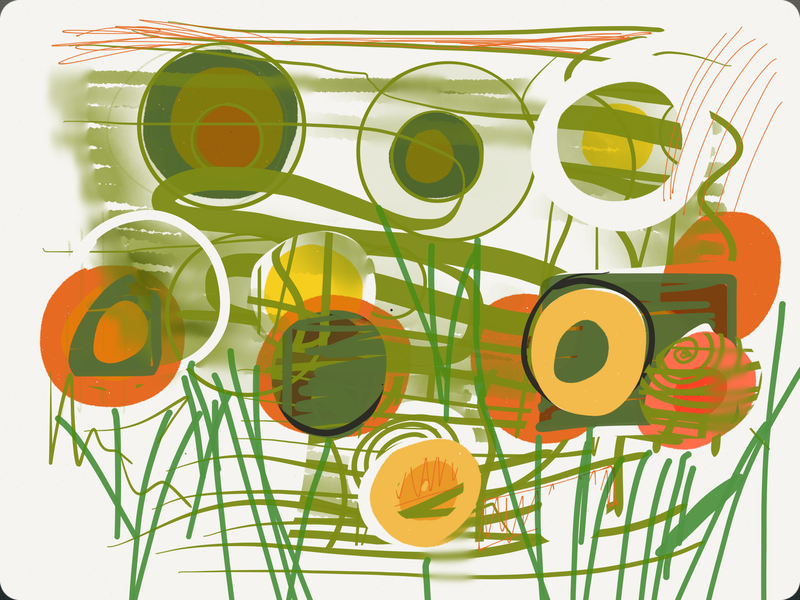 Playing with the cut tool in paper app by 53, a lovely immediate collage effect based on the Californian poppies in the garden, doodling – but I quite like the composition and energy. 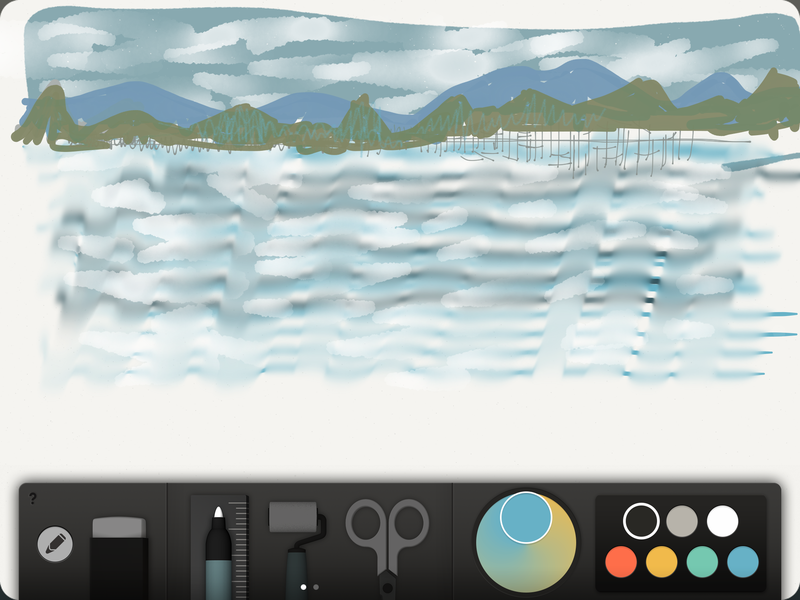 The coast of Norway from the Bergen to Stavanger ferry, investigating the smudge tool.